Another year - another zip wire! 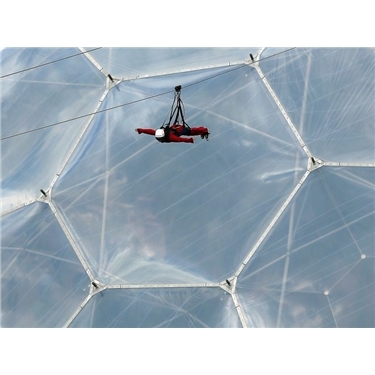 After the adrenalin buzz after flying the zip line down the Holmenkollen Olympic Skijump in Oslo last year, Ann and David Manners are going to fly across the biomes at the Eden Project in Cornwall on Tuesday 22 September and would love to raise even more funds for our Cats Protection Branch. If you would like to sponsor them, please go to www.justgiving.com/D-Manners where you can follow the link and pledge online or you can make a donation at our shop at 19 South Street, Wellington, TA21 8NR.